Together, we strive to educate our children of the Sacred Heart to become responsible citizens of the world. Being part of the International Network is one of the most amazing opportunities to educate the mind and spirit of our youth in an environment of real global connections. 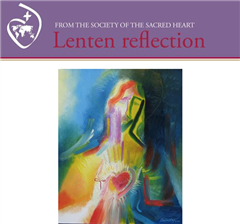 In 2016, a handful of passionate educators initiated and successfully led Faces of the Heart, an International Gathering of Sacred Heart students hosted by La Perverie, in Nantes, France. The enthusiasm generated by this first experience inspired the team to start over and grow the project to new dimensions in 2018. We hope that your school will be able and willing to identify ambassadors who can participate in Faces of the Heart 2018, a Sacred Heart Youth Assembly, which will take place around Nantes, France, from June 30 to July 13, 2018. This international network project is a global exchange aiming to educate students to world citizenship. Students will gather to discuss and reflect on current global issues, with the intention to share ideas and voice recommendations which they will later share within their communities. In addition to student participants, the team is looking to identify 2 - 4 adults who would like to participate this year and who might have an interest in being part of the steering team in the future. Applicants will need the recommendation of Head/ Director of the School. Our working language will be English. If there is someone in your school community who has the experience and might be interested, please send us their name, role in the school and email address. Fees: €1100 euros – includes room, meals, internal travel and program related expenses. The students and educators are responsible for transportation to and from Paris.